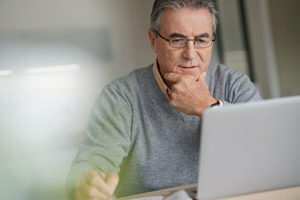 Social Security may owe you up to $23,441, and if you're over the age of 50 and enrolled in or collecting Social Security benefits on behalf of a spouse, then you owe it to yourself to find out. The U.S. Inspector General audits found that some of these errors have been going on for over 33 years. And we've found that this oversight by employees of the federal government put an enormous amount of money up for grabs for many unknowing Americans. Fortunately, it's not too late to receive this money. Studies by independent research firms have in the past raised questions about Social Security recipients being left in the dark about money owed to them. In fact, the Boston College Center for Retirement Research discovered that Social Security recipients are leaving an estimated $25 billion in the pocket of the U.S. government every year. Take Hawaii widower Denise Felton, for example. She recently found out she was underpaid $56,255 in Social Security due to the same type of miscalculations. In her case, they went completely unnoticed for 15 years! Luckily, after finding the right help, she was finally able to collect her lump-sum payment in just three days. If you don't know all the rules, one simple error could easily cause 12 months of underpayments of your Social Security benefits to slip through the cracks. In Denise Felton's case, these underpayments went on for 15 years. To find out if you're affected, you can dig through Social Security's 2,728 rules and thousands of additional sub-rules outlined in its complimentary "Social Security's Program Operations Manual" to get details on this underpayment, or talk to one of their agents. Or you could contact an expensive law firm or financial advisor. But we've done all the hard work for you. The OIG audits only instruct the Social Security Administration to "take appropriate action" to make up for these staggering errors. According to our calculations, 99.89% of the total unpaid money is still up for grabs. But depending on your specific situation, the SSA will impose a strict time limit on when corrections can be made. And if you're already collecting benefits, your time may be running out. Thankfully, if you are eligible, we're here to tell you how to request your payout. And it could only take a few minutes of your time. I am a 72 years old retired and 100% Disabled Vietnam Veteran. Permanent! I'm 80 and been on SS since I was 65….. what do I do? I'm 52. Been disabled since 2001. Do I qualify? ?